Johann Sebastian Bach is one of the most famously unfathomable composers in the history of music. How can such sublime work have been produced by a man who (when we can discern his personality at all) seems so ordinary, so opaque - and occasionally so intemperate? 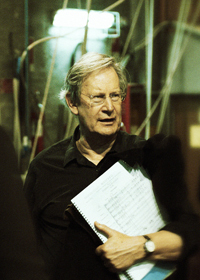 Join one of the world's leading conductors and greatest living interpreters of Bach, Sir John Eliot Gardiner, as he discusses his remarkable portrait of Johann Sebastian Bach, in conversation with Gramophone Editor-in-Chief James Jolly. Tickets: £5. Please email events@foyles.co.uk to register places. Payment will be taken at the event. This event is part of the Foyles Grand Opening Festival, celebrating our move to 107 Charing Cross Road. See the full event programme, including author talks, workshops, formal department openings and much more.